This morning the Mini Mes woke to find our elf, Peppy Tum-Tums, sat on the sofa with the remote in his hand and a new DVD by his side. 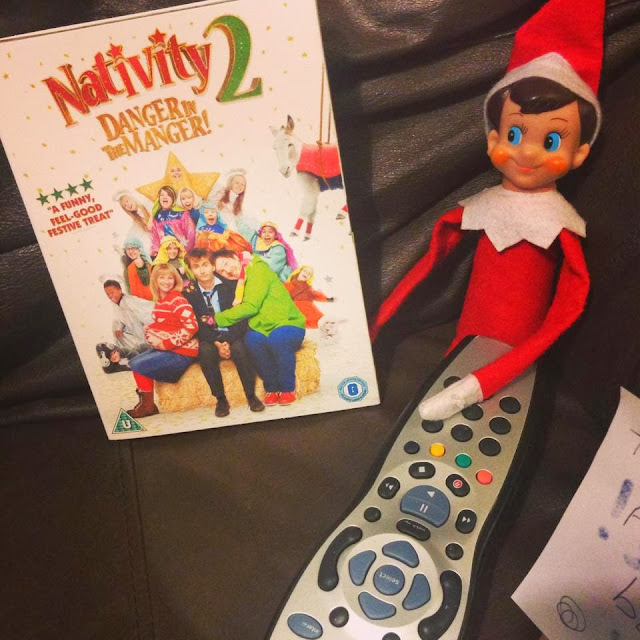 I really enjoyed Nativity 2 at a review screening, it's a great family movie with plenty of humour, so it's a perfect film to watch together over the festive period. I'll be posting daily updates daily during our elf's visit and if you have an elf for December feel free to link up your posts below! Have not seen Nativity 2 yet. Kids would love it I'm sure.